After using it a few times, here's what I think about it. It's good, but it's not the bees knees. I don't think it's a must have. The powder is very finely milled and applies really smoothly. I use my bdellium face brush in 974 to apply. The packaging is very fiddly, and boy is it messy to use! I use it both to set my concealer, and also to set my foundation. This sets my foundation really nicely, takes away all shine without any cakiness, and makes it last all day. Despite being so yellow in the container, once applied it blends onto my skin and does not give a yellow cast. I like it, but I don't love it. If it wasn't so messy to use, I'd probably love it, but oh the mess... I can't deal. Here's the powder in action. I do think it looks lovely on, but it doesn't give the brightening effect I was looking for. I don't think this is the fault of the powder itself, I just think that the colour is perhaps too close to my own skin tone (NC25), so it acts like a translucent/setting powder instead of a brightening powder. Maybe it will look nicer on slightly darker skin tones. Here's how it looks on Kim K. See, I think it probably looks nicer on darker skin tones. PS: In Australia you can get the Banana Powder from Scotty's Makeup for between $17 - $23 depending on size. I've heard so much about this as well, though it doesn't really seem like a must have - I think it would be like most loose setting powders! Also the packaging does look so messy! heard a lot about this and I'm glad you have informed on how messy it is! I'm not a fan of messy products! I purchased this powder off eBay with a few other Ben Nye products after reading all the reviews. 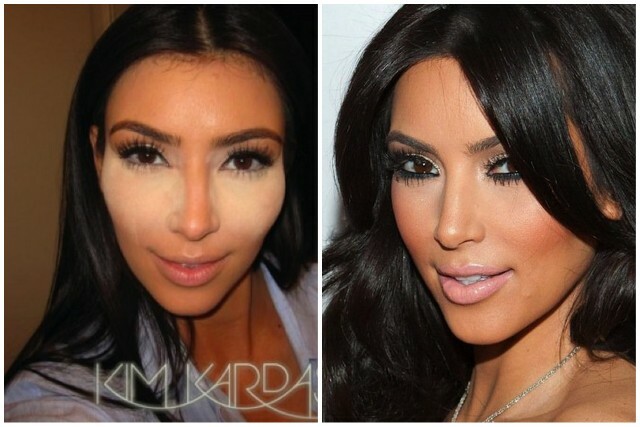 I actually prefer the translucent powder.